Rustic charm is a back-to-basics way of adding rural and quaint touches to your home. Rural touches can add an eclectic ambience with a charming vibe. Rustic and rural design elements bring precious character to any space with an earthy yet antique look that is dated, classic and very elegant. This kind of design and décor is favoured by designers the world over! It's the reason so many antique pieces are priceless or cost an awful lot of money. So bring rural charm into your modern city home with our tips! Nothing says rural like a grounded and earthy look. Pottery is an art that combines good old mud with quirky and charming shapes. The potter’s wheel is quite a rural feat with a simple rotating technology and clay that come together to create vessels as well as artifacts. Pottery and ceramic vases use pretty much the same technique and are usually handmade, making them even more designer and unique in nature. These one-of-a-kind pieces add pops of colour even if they are a normal terracotta shade. The richness of these pieces will give your overall décor a lift. Use as a base for a lamp or place a series of vases on a window ledge to watch the rural magic as it unfolds. 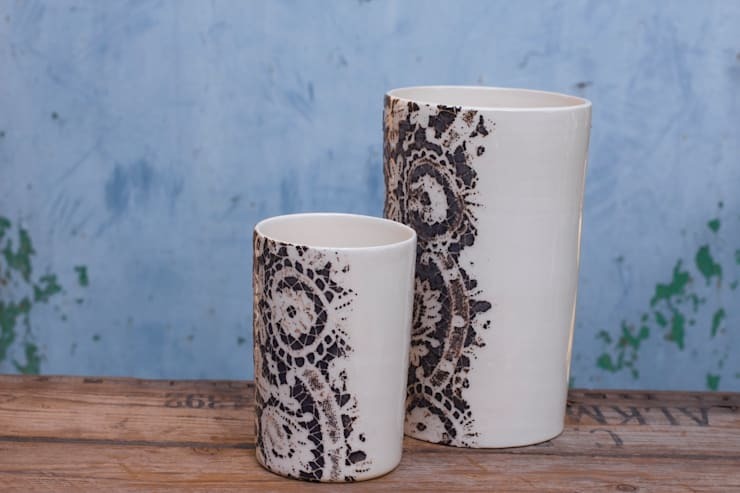 These beautiful ceramic vases were designed by Creations Boheme based in Aix En Provence. 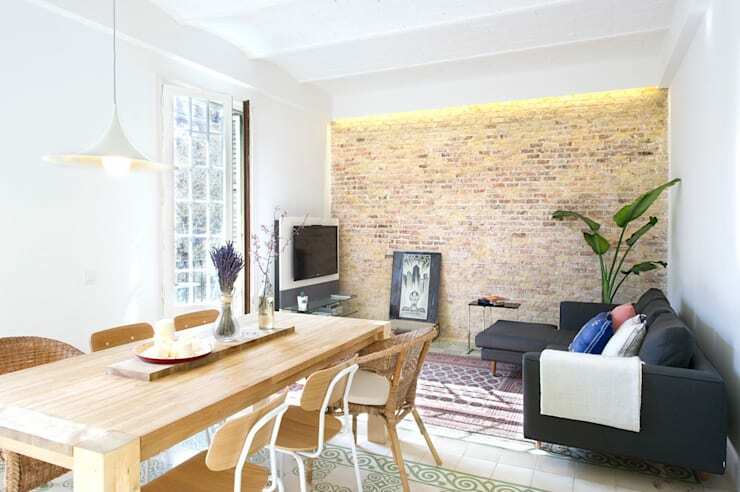 Add an exposed brick wall to your living room or bedroom for beautiful rural appeal. The terracotta-like orange colour of the bricks can add life even to the most minimally inclined décor scheme. A brick wall with a group of black and white sketches in a simple wooden frame can add instant rustic glamour to your space. 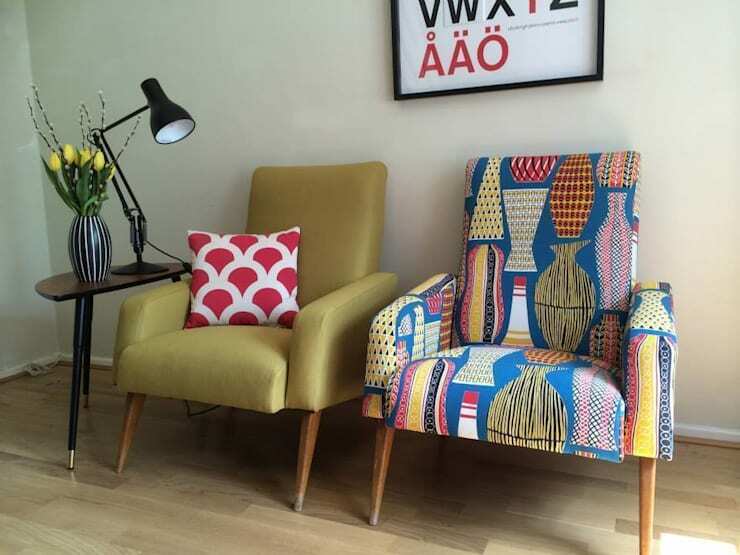 Combine with low seating and colourful cushions to carry the thread of rural charm further. The next time you visit a village or hamlet or even an old neighbourhood and its market, remember to keep a look out for old and quirky pieces that can be adapted to suit your home and add a rustic touch. Recycled furniture can also be found in an old furniture yard, flea market or yard sale. Also, antique stores and cottage industry outlets are a wonderful source for such pieces. 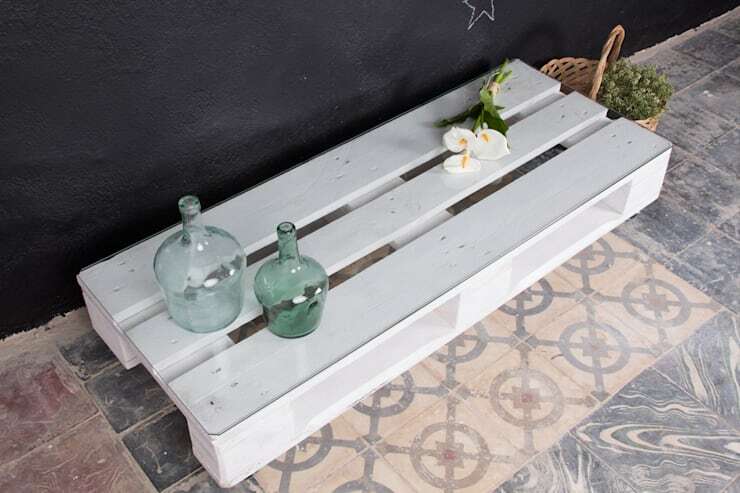 This old furniture can be given a splash of paint and sandpapered for a worn look to give a truly rustic effect. You can also invest in pieces like one of a kind door knobs or even painted tiles to fit on to existing furniture and cabinets for a rustic look. Nothing says rural like limewashed walls. The worn and washed effect speaks of a time when modern day acrylic and enamel paints were not readily available. Get a wall textured and painted in this style for an old-world appeal and put up lots of old photographs in sandpapered frames that speak of another time. Relive the days of the yore with a rustic end table holding an old gramophone and wallpaper a nearby nook with pages from an old book. Add a grandfather chair placed by a window for a wholesome rustic look to give company to your modern furniture and pieces. Rural also equals natural. And nothing is more natural or back-to-basics than a stone. Stone fixtures in the bathroom make for some serious rural charm like none other. Balance a brass-finished sink on a stone counter and let the slab be jagged at the edges. Take the stone to a whole new level with walls tiled with stone and stone floors as well. The look is one that speaks of a high rustic design. Stone makes for a rural setting that makes for a wholesome classic, old-world appeal. One of the most striking features of rural homes remains the affinity for a courtyard. Many homes are structured around a courtyard with a Tulsi standing proudly in the centre. Corridors line the four sides and the home recedes beyond the same. The Tulsi courtyard is a charming feature that creates an open and expansive feel even in the smallest of homes. Your modern city home can have the same effect if it is built in a similar fashion. If this is not possible, you can go ahead and install a skylight above the central area of the main hallway and make it a courtyard of sorts with sunken seating below and pebbled pathways as well as some indoor plants. Tradition and rural charm go hand in hand. One of the most notable features of a typical rural home is the fact that it is littered with traditional pieces that are a part of its everyday life. Utensils are a major factor that shape our everyday lives. Traditional utensils can come in variations like stone, wood and brass or even copper. Take a sprinkling of each kind and add it to various corners of your home with some plants or flower arrangements. Use as serveware as well for some rural appeal on your dining table. The charm of traditional utensils lies in the fact that they can be adapted to any kind of setting and yet they make a one of a kind statement. Beaten brass pots with wooden trays can come together even in a modern setting to give a luxuriously rustic feel. Rural charm is a beautiful element of décor that can visually lift a space and add a strong talking point. They can blend in and yet make a statement like none other. So imbibe some rural charm in your space today and bring these touches to your modern city home for a never-before-seen statement. Place a brass pot with water and flower petals at the entrance or serve your guest's bread in wooden or wicker baskets. Let your imagination take a rustic spin today! For further reading on all things bucolic, take a look at 10 of the best rustic kitchens. Which of these rustic rooms is your favourite? Let us know in the comments!